The Traditional Speech- a professionally written speech, tailor made to each clients life story. One on One coaching on delivery, full of humour and easy to do no matter how nervous you might be. 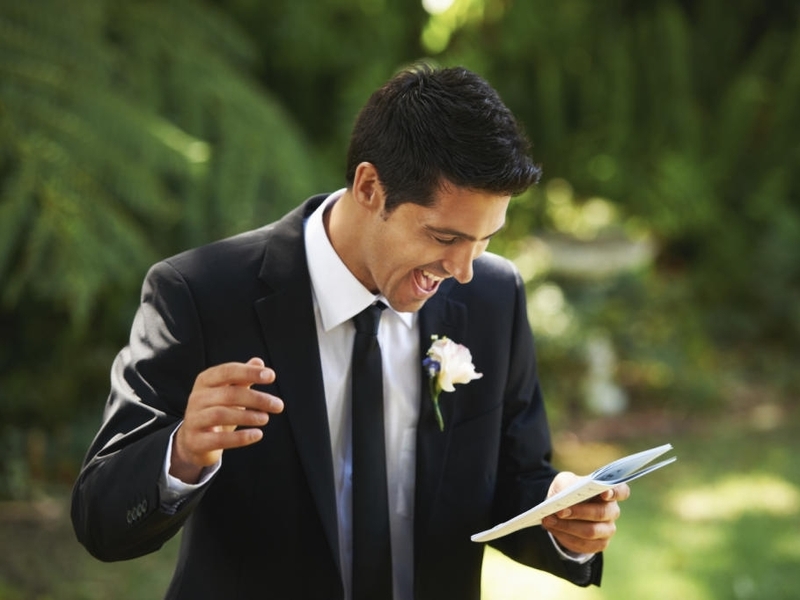 The Wedding Recitation- When you want to go the extra mile on the day of the wedding, the Recitation is your only man. A bespoke, entertaining piece of spoken word poetry, GUARANTEED to have your guests and stitches and usually resulting in a standing ovation.
" Cormac it went like a dream. The minute I stood up the nerves disappeared, I got my first laugh within a few seconds and there was plenty of cheering and clapping throughout. I followed your instructions to a tee. enjoyed the process at every step." Gabriel, Ireland 5 times Be Spoke client.